21-year-old musician, Hazey Eyes, is classically trained in a slew of instruments, but on Some Reason focuses on the piano and electronics. In doing so he creates a “3 a.m.” vibe. The music is soothing yet passionate, lulling you to sleep at some points while providing refreshing shots of energy at others. Following up on their acclaimed 2012 release, Converge is back with an all out sonic attack on The Dusk In Us. This record found itself landing on Pitchfork’s Best New Music list, and is a great album for jamming out to. 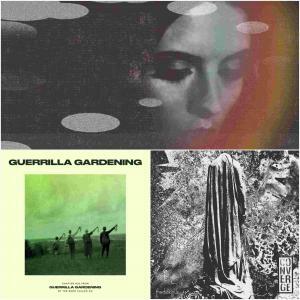 The latest from Guerrilla Gardening offers up some nice blues and soul tunes. The record is guitar driven, and takes the listener on an adventure through the bluesy and soulful rhythms.